SpaceX CEO Elon Musk during a speaking engagement at the International Space Station Research and Development conference on Wednesday provided an update on his company’s plan to send humans to Mars. 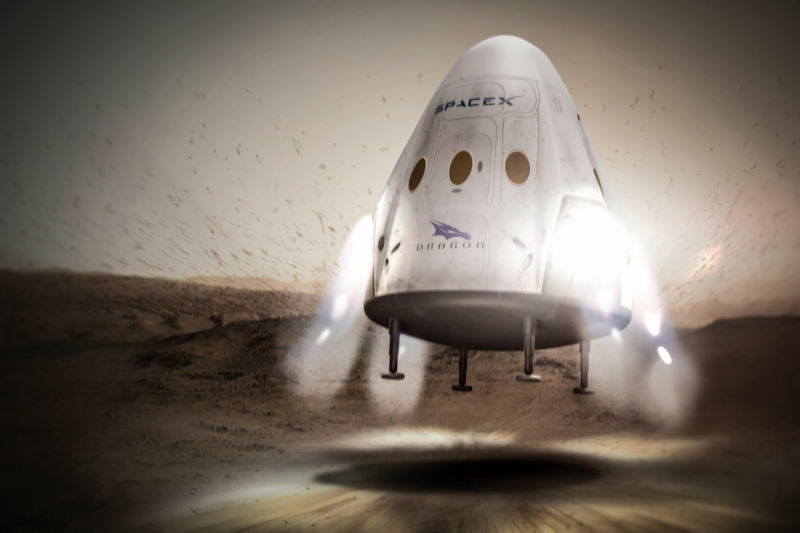 Musk’s initial plan was to outfit its Dragon capsule with thrusters and landing legs that could be used to gently touch down on solid ground. The technique, known as propulsive landing, is being scrapped partially due to the fact that it would take a “tremendous” amount of effort to qualify it for safety for crew transport. Musk later said on Twitter than they still plan to do powered landings on Mars albeit with a vastly larger ship. At the conference, Musk said he’s pretty confident that there’s a far better approach which is what the next generation of SpaceX rockets and spacecraft will strive for. Unfortunately, he didn’t delve into what the new approach might be or provide an updated timeline of when he plans to send a craft to Mars. Dragon capsules will still feature the aforementioned thrusters albeit for emergency purposes only. For the foreseeable future, it seems as though the capsules will continue to reply on parachutes for landings. Musk also downplayed expectations for SpaceX’s Falcon Heavy rocket. Essentially three Falcon 9 rockets strapped together, the rocket is still expected to conduct its maiden voyage sometime this year. Musk said he may have more details to share on SpaceX’s Mars colonization plans at the International Astronautical Congress in Adelaide, Australia, in September.